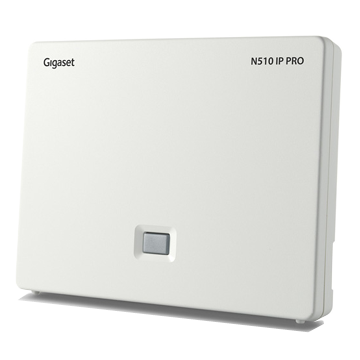 The N510IP PRO IP DECT base station forms part of the Gigaset PRO range for small to medium businesses. The N510 IP PRO supports a wide range of Gigaset DECT handsets. Users benefit from flexible communication with exceptional sound quality. Professional features such as corporate directory access, online directories and email notification add efficiency to the workday. Wireless connectivity enables freedom of movement and multi-tasking convenience. The N510 IP PRO is compatible with over 230 VoIP providers and all common PBX systems. Note: This device is not available to sell in United States. Radiofrequency regulations define a slightly different frequency range which is not compatible with this devices.